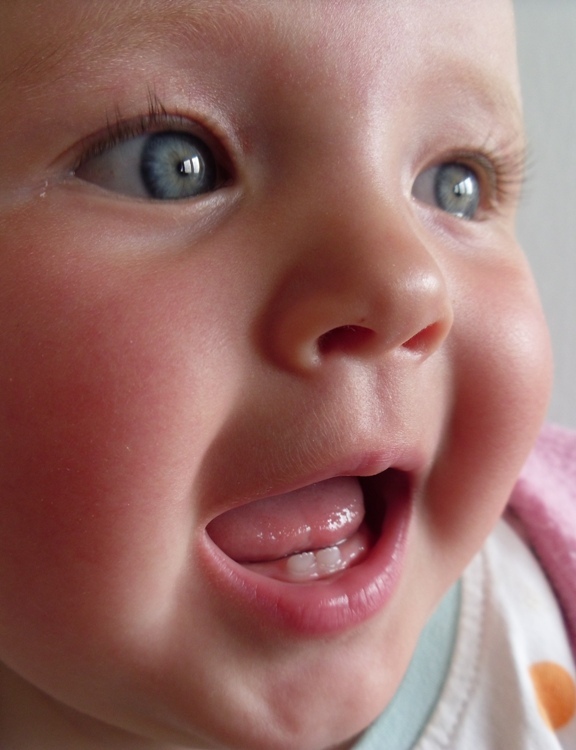 A Guide to Brushing Baby Teeth | Dr. Erwin T. Su, DDS. Parenthood comes with all kinds of unfamiliar territory including the “when” and the “how” of brushing baby teeth. Starting this habit early with provide lifelong benefits for your child. As tough as it can be to create a seamless routine, it’s important to remember that the payout will be worth it. “Brushing” baby teeth can begin as soon as your child’s first tooth appears, but don’t race for the toothbrush just yet. Use a clean washcloth to gently wipe away any plaque from your child’s teeth and gums. Once they have several teeth, you can advance to a soft-bristled pediatric toothbrush and simply brush their teeth with water. Introduce a pea-sized drop of fluoride toothpaste once you feel like your child is old enough to spit it out instead of swallow it. By the time your child advances to preschool and kindergarten, they’ll be ready to conquer tooth brushing on their own (with supervision, of course). If you’re still not sure about the proper techniques for brushing baby teeth, you’re not alone. Once you’re ready to tackle those daily brushing habits it’s important to remember that practice makes progress (not necessarily perfection). All parents experience hiccups when it comes to establishing those critically important dental hygiene routines for their children, but it’s important to take pride in your efforts and to understand that small steps will lead to better routines. When it comes to the “how” of brushing your child’s teeth, there are a couple of important factors—frequency and method. For infants, you should brush their teeth at least one a day (at bedtime) and gradually increase to twice a day (morning and night) as your child gets older and can begin brushing on their own. When it comes to the proper method of tooth brushing, aim for both quality and quantity. Making sure to brush in gentle circular motions at least once a day. For older children set a goal for them to brush for two whole minutes each day and night. Having a child with a healthy smile is worth every effort at home. If your child’s habits need tweaking, set some new goals and work as a team to achieve them. With your help and supervision, your child can be confident in their brushing habits and take charge of their own oral health in the future. If you are still encountering issues or have any questions or concerns, feel free to contact Dr. Erwin T. Su Pediatric Dentistry of Canton, Ohio.